For years, Sita Murt is present in many of the "trade shows" held in the fashion capitals. 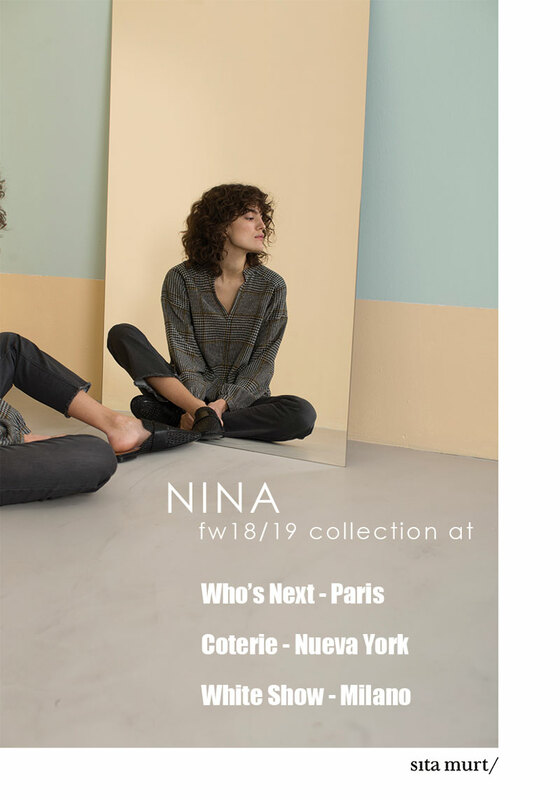 The first stop of the year was at the Who's Next in Paris, from January 19 to 22, where we presented the new collection FW18-19 Nina, inspired by Nina Simone. Made entirely of soft wool and delicate viscose, looking for the point, fantasies in geometric jaquards, sets of stripes and graphic asymmetries, enhanced with fluid and feminine fabrics. The two essential events for this month of February were the White Show Milano, which was held from February 23 to 26 and Coterie in New York, currently underway until next Wednesday, February 28.